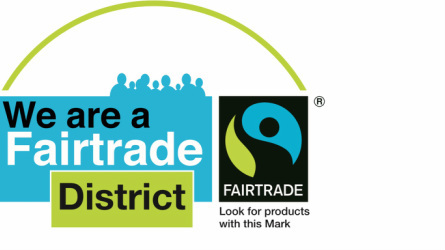 talk with your friends about Fairtrade and encourage them to buy Fairtrade. encourage other businesses or organisations to do the same; its good for corporate responsibility. So when you buy something with a Fairtrade logo on it, you know that a fair amount of the money is going towards helping the community where it came from. This extra money is usually put into things that can help the local community – like bicycles to help workers travel to work or new wells to provide water. Moses Renee, a Fairtrade banana grower from St Lucia, who visited Bassetlaw in 2012 was one such producer. He gets a better price for his bananas but also helps the community as the Fairtrade Premium payments go to support the Grace Combined School for the children in the area.